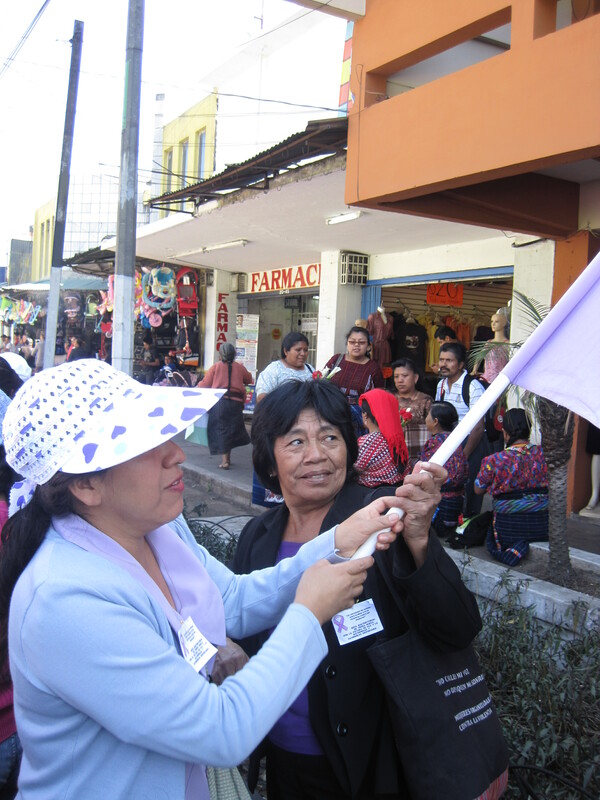 On March 8, thousands of men, women, young people gathered in Guatemala City to honor International Women’s Day in Guatemala. With banners, chants, and music, men and women walked from the Guatemalan Supreme Court to Congress to the Public Prosecutor’s Office to Central Park. Despite the occasional machista comment from spectators on the sidewalk, the march is a celebratory one every year, open to anyone who believes in and fights for gender equality and justice. Sister Parish member communities Tierra Nueva I and II brought a bus packed with over 50 people in for the march. We hope these photos share some of that celebratory spirit. 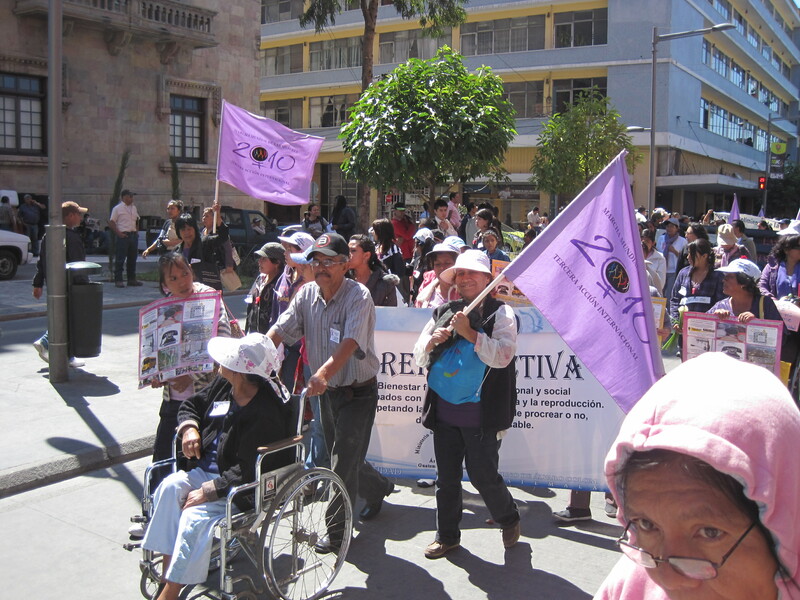 Over 50 women from Tierra Nueva I and II took a bus into the city to participate. 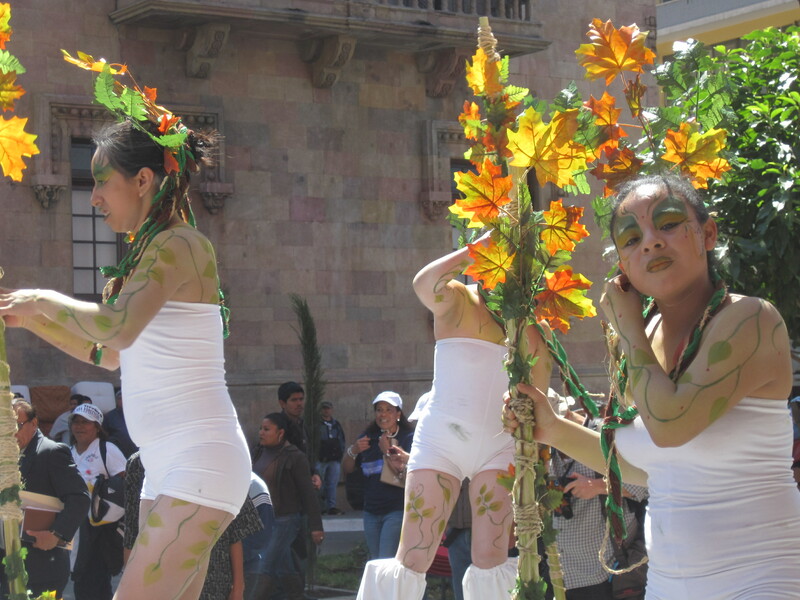 A Guatemalan youth theater group shares their talents. Participants included men, women, youth and children. 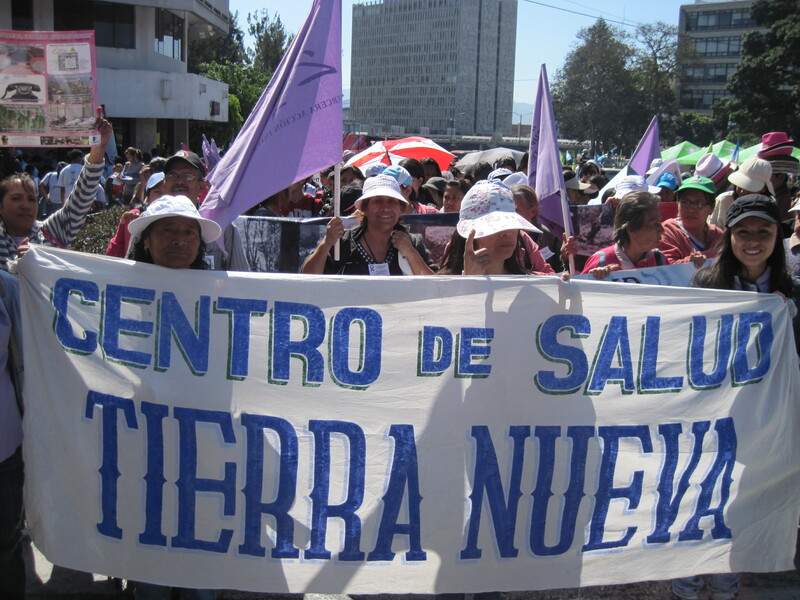 Women from Tierra Nueva II raise the banner. 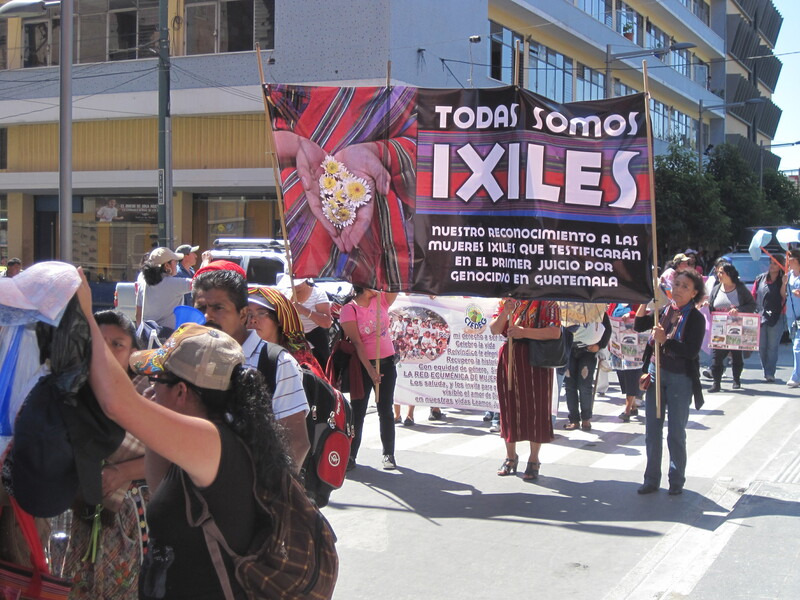 The banner reading, “We are all Ixil women. We honor the Ixil women that will testify in the first genocide case in Guatemala,” reminds participants of the many layers of women’s struggles. Read more about the genocide case and solidarity actions. This entry was posted in General, Guatemala and tagged Central American news updates, tierra nueva i, tierra nueva ii. Bookmark the permalink.